Gracie Barra Bloomington Jiu Jitsu offers a precise program structure for all levels whether you are a beginner or experienced martial artist. 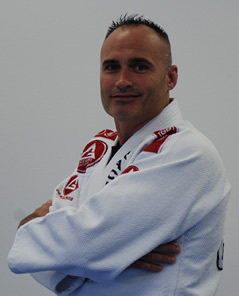 We provide a safe, friendly, family oriented environment that allows our students to improve upon their BJJ skills set while at the same time maintaining the integrity of the techniques that were developed by the Gracie family. Following the teaching methods of Master Carlos Gracie Jr. our School was established to provide the highest level of Brazilian Jiu-Jitsu instruction by giving students a safe, progress-oriented learning environment. Brazilian Jiu-Jitsu has been tested and proven as an efficient, effective “real-world” system of self-defense, both through amazing successes in the Ultimate Fighting championship as well as in the introduction of ground grappling into the training regimen of nearly every major martial art worldwide. Sign up now and you too can learn the Gracie Barra Bloomington Jiu Jitsu curriculum. Feel free to train at any of the hundreds of Gracie Barra Academies worldwide; contact us, to schedule your free intro class and start learning one the most effective martial arts in the world.